Hero Arts Mounted Rubber Stamps 2.25"X5"
Hero Arts Mounted Rubber Stamps 2.25"X5" - HERO ARTS- Wood-Mounted Rubber Stamps. 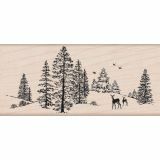 Hero Arts Wood-Mounted stamps are made with lightweight wood, foam and red rubber to give you solid stamping performance. With designs for the everyday and special occasions you are sure to find the perfect stamp. 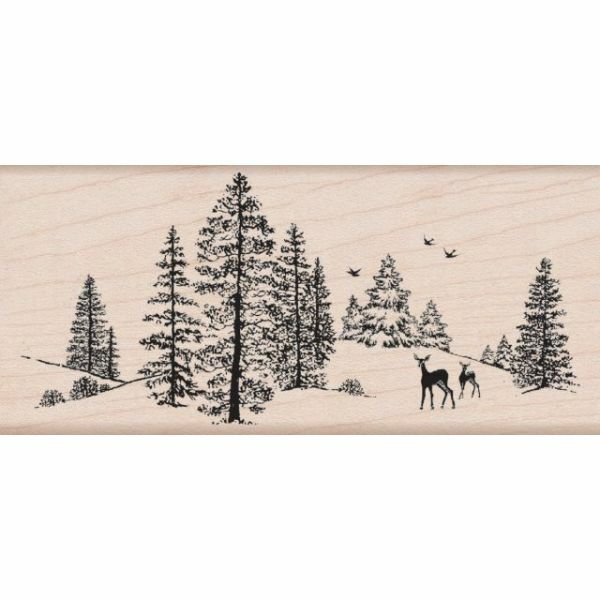 This package contains one 5x2-1/4x3/4 inch Wood-Mounted Rubber Stamp: Winter Scene. Made in USA.